I have a large number of projects currently underway — almost certainly too many. But I have always found there to be too many desserts on the buffet table of life. When everything looks so delicious, how can you possibly limit yourself to just one choice? It may be inefficient, and at times crazy-making, but I am happiest when I have many different things going on at once. In an average week, I spend some of my time coaching my entrepreneur clients and managing my training and coaching business Get Clients Now! I also give one or two workshops, talks, or interviews each month. Upcoming programs are listed on the Event Calendar, and you can read an interview with me here. Below is an inventory of other projects I am currently engaged in. To find out more about how we might work together, visit my Working with Me page. I always have a number of writing projects in the works. I write a new marketing article monthly for the Get Clients Now! E-Letter, and write a couple of new pieces for the Get Clients Now! Blog. I write book chapters, like one I did for the book Guerrilla Marketing on the Front Lines, plus numerous articles and guest blog posts. And I’m a repeat contributor to the SalesDog blog, Choice magazine, and Home Business magazine. I’ve been working in recent years on three new books. The first one was released not long ago: 50 Ways Coaches Can Change the World. It includes ideas, resources, and anecdotes from a wide variety of sources around the world about making a difference as a coach and increasing your global impact. 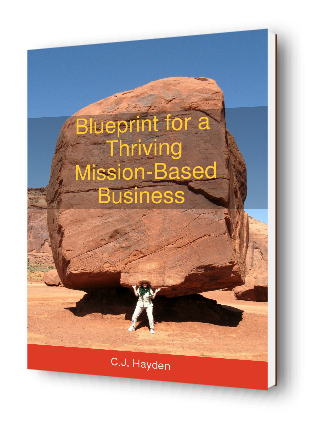 The second is titled Business Blockbuster: Breaking through the Blocks That Hold Back Your Business. Watch this space to find out more about the third one! From 2003-9, I authored the blog How to Become a Hero: You Are the Champion the World Is Waiting For. My entries there explored the intersection between life purpose, leadership, service to others, and social change. While I am no longer making new posts to this blog, you can read past entries here. You can also read about my steps for becoming a hero, or listen to a recorded interview with me on this topic. I serve as a board member and Charity Liaison of the Thriving Women in Business Giving Circle. We gather women together to support better lives for women and girls around the world. We are a giving circle -– a group of women who join together to support the cause of their choice. Our circle pools our donations to charitable causes, hosts gatherings to increase members’ awareness of the causes they support, and decide together where our funds should go. We are currently seeking new members for our San Francisco Bay Area circle. If you might like to join us, contact me! Social responsibility and citizen activism are an important part of my life. I serve on a number of volunteer boards and committees throughout the year. In addition to the above, this currently includes the Choice Magazine advisory board. I recently completed a two-year term as Vice Chair of the San Francisco chapter of the Social Enterprise Alliance. Please visit any of these sites to see if one of these organizations might also interest you. You’ll frequently find me on Facebook, and I’m also active on LinkedIn and Google+. You’re welcome to connect with me on any of these platforms, or become a Facebook fan of Get Clients Now! I also have two Twitter accounts: @CJHayden for updates from me personally, and @GetClientsNowHQ for updates from Get Clients Now! OK, I know this seems like a lot when I list it all in one place, but believe it or not, I work a 45-hour week, take five vacations each year, sleep 7-8 hours per night, work out three times a week, and have enough time for fun with my partner Dave, a bunch of friends, and a couple of hobbies. What can I say? I like to keep busy.